One of the major causes of damage in any hurricane is the wind and the debris carried by the high winds. Every object in the neighborhood is a potential high-velocity missile when it is picked up and thrown at your home during violent weather. Our Hurricane Impact Door Systems help to prevent such dangerous debris from entering your home and providing an opening to water, high winds and even more debris. 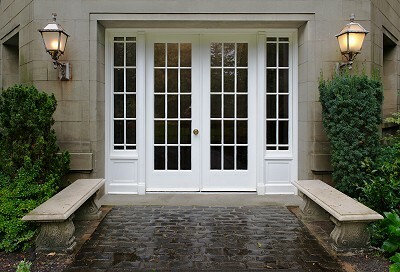 Hurricane Impact Resistant Doors are an asset to the protection of your home, providing additional safety and security. In addition to hurricanes, these doors offer added benefits against intruders, noise and ultraviolet (uv) rays from the sun. Our high-impact fiberglass panels stand up to the harshest treatment, and are more resistant to denting than traditional metal doors. If the glass is broken, impact glass maintains its integrity thanks to the lamination.